We are one of the well-known organization, involved in trading and manufacturing of a wide range of Products. 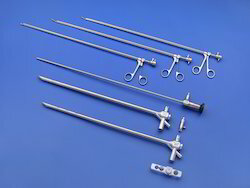 Under this category, we offer high quality Flexible Fiber and Video Laryngo Fiberscope, Fiber and Video Bronchsocope, Rigid Bronchsocope, Oesophagoscope, Rigid Laryngoscopes these offered equipment are also tested on defined parameters to ascertain their compliance with the international quality standards. 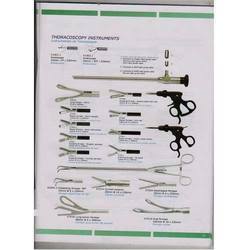 We offer CE marked, thoracoscopy set with german optics, ergonomically designed, autoclaveable to sterile, take apart hand instruments, carbo handles, teflon coated. 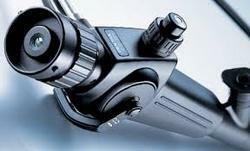 Looking for Bronchoscope Flexible and Rigid ?